Bryan Clover from the Rainy Day Trust shares his own harrowing experiences of dealing with stress and offers advice on where you can go for help. Why do we do it? Why do we struggle on in silence when simply reaching out for help can make a world of difference? Is it stigma? Is it pride? Is it a bloke thing? It doesn’t really matter why, it matters because the effect of stress and anxiety in their various forms has a huge impact on our lives, and as importantly on our livelihoods. On your livelihoods. Awareness of mental health issues is growing thankfully and more people are asking for help. 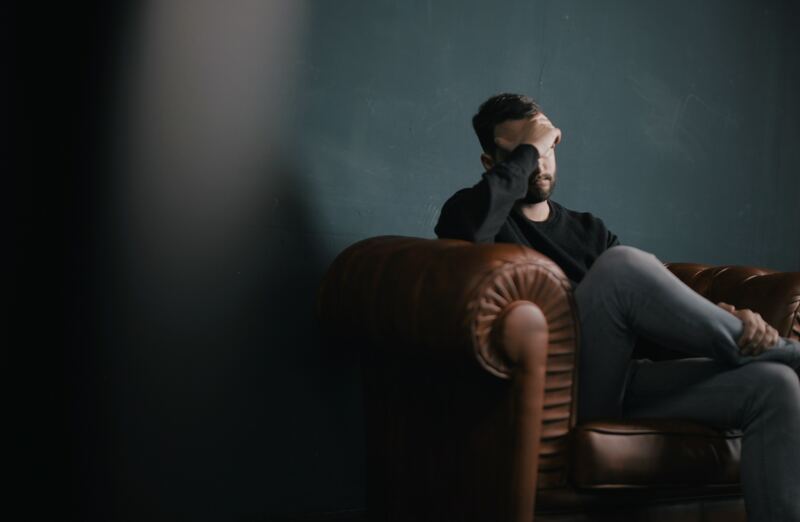 The big problems like PTSD, bipolar disorder or ADHD grab the headlines, but it’s good old-fashioned stress that is most widespread. The pressure of work, family problems, bereavement, finding sufficient work all add up to a pretty unhealthy atmosphere. If our brains are diverted from the day job, we don’t function properly and our work is affected. That can lead to some pretty one-sided conversations with site managers or customers which, ironically, just makes everything worse. We start worrying about losing work which can be incredibly self-destructive. It rapidly becomes a vicious downward spiral. Let me give you a very personal example, drawn on my own experience. In October 2017, our 13-year-old daughter started getting headaches. We took her to the doctor and they told us not to worry as it was just puberty-related migraines. We went on holiday to Spain. Twelve hours after arriving we were in A&E. Eight hours later we were in intensive care, and a few hours after that they did an emergency operation to save her life to remove part of a massive brain tumour. Fast forward through a month in the Bristol Royal Children’s Hospital, and six weeks at home, and Evie died on 11th January 2018. The emotional trauma that we went through, and are still going through, has led to an enormous amount of stress. So much so that many months later I am still not functioning properly; my brain is constantly questioning what happened and asking ‘Why?’. I’m exhausted all the time and don’t sleep. Now what that leads to is without the support of our GP and months of counselling, I wouldn’t be functioning at all. It affects work, home life, everything. But I recognised early on that something was wrong and asked for help. There is help out there. All you have to do is ask. The Rainy Day Trust doesn’t just give financial support, although that in itself can help alleviate those money worries, especially if you are ill or off work. We can also offer free telephone counselling, free debt advice, an hour’s free legal advice, housing advice and support for those affected by cancer. From a mental health perspective, arranging a face-to-face counselling session can be difficult fitting in with work commitments, so telephone counselling is really flexible. We give five free 30-minute sessions over the telephone. If at the end of that you want more, just ask. Or if you need face-to-face counselling we can pay for that if you can’t afford it or can’t find a charity that can give it locally. So take it fromm me, you don’t need to keep a stiff upper lip. You don’t need to bottle it all up and pretend the problem doesn’t exist, because you know what? If you do, it’s going to build up and bite you in the backside sometime sooner or later. Tackle it now and get your life back. Take it from someone who has experienced the most horrific year possible, you don’t have to deal with stress or mental health issues alone, and neither should you. rainydaytrust.org.uk or call 0203 192 0486. Next : Do you buy Christmas presents for your team?